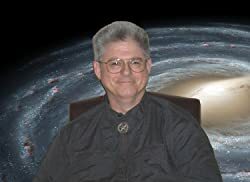 In comments, some readers have been asking for some kind of forum where people who are enthusiastic about my humble forays into the world of Military Science Fiction can discuss my work. After some poking around, and after consulting with a few people I know who are savvy about such things (do people still say “savvy”? ), I have decided to set up (actually modify a pre-existing) Discussion Group on Goodreads dot com. Folks can navigate to this site: https://www.goodreads.com/group/show/125889-h-paul-honsinger-s-man-of-war-series, become members, and discuss to their hearts’ content. Please abide by the group rules, which I consider entirely reasonable (as I wrote them, I suppose I would). So, if you are so disposed, go, join, and discuss. Have fun.